Chronic wounds affect more than 6.5 million people and cost billions of dollars every year in the United States. Chronic wounds become stagnant through the normal phases of wound healing and often enter a vicious cycle including numerous comorbidities, mixed etiologies, and intrinsic and extrinsic factors. Wound identification and comprehensive assessment comprise the foundation of an effective treatment plan. 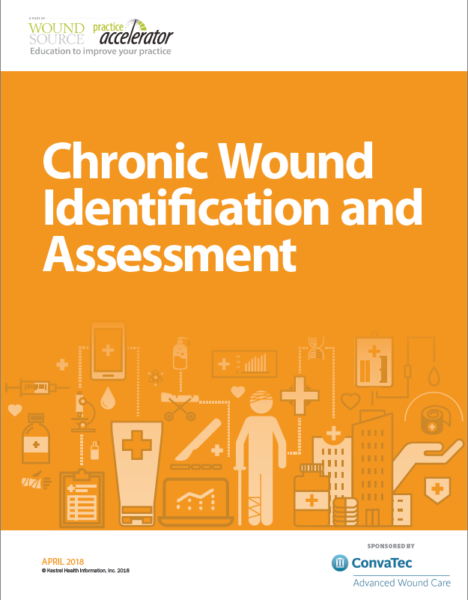 This guide is generally written to provide practical guidance for all health care professionals in the diagnosis and treatment of chronic wounds in their wound patients.